This week on The Teller and the Tale, I'm joined by storyteller Alette Willis. Originally from Canada but now resident in Edinburgh Scotland, Alette has made her mark on the Scottish storytelling scene. Her stories reflect her strong commitment to the environment, peace & justice, well-being, as well as science and research. 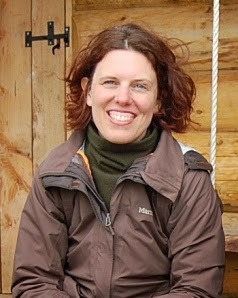 Alette currently works as lecturer in Edinburgh University's Dept of Counselling and Psychotherapy where, among other things, she encourages the use of storytelling. Other academic interests include therapeutic storytelling and storytelling for peace & justice. 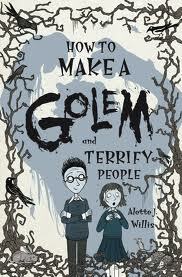 In addition to her academic work, Alette has also found time to write an award-winning children's novel, How to Make a Golem (and Terrify People) (Floris Books), winner of the 2011 Kelpie Prize for Children's Fiction. One enthused reader summed up her appreciation by writing, "I enjoyed the voice of this book from the get-go. The characters were alive, the storyline was perfectly paced--with the PERFECT amount of spine tingles and creepiness thrown in." Alette brings equal measures of voice, characterisation, and pacing to her oral storytelling, whether she's telling a story about trees (she's been a regular storyteller at the Royal Botanic Gardens in Edinburgh) or quantum-creation stories that explain the existence of time and space through imaginative (yet real) creatures like the Gluons and Gravitons (Alette has been a regular Science Festival storyteller). Join me, beginning this Sunday 23rd November on Blues and Roots Radio (www.bluesandrootsradio.com) as I welcome Alette to the show. 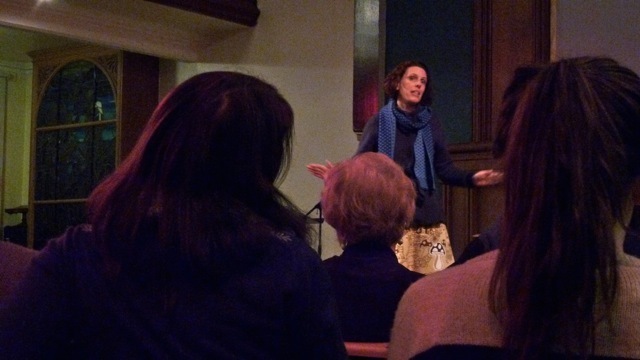 Listen as she reveals how she became a storyteller and why storytelling is important to her. Sit back and listen to her strange tale of how time and space came into being and how she made a Golem (and terrified people). Ok, she didn't terrify anyone. I mean, just look at that face. Better yet, decide for yourself by joining us this Sunday at 7am EDT (Canada/US) and 12 noon GMT (UK/Ireland), only on Blues and Roots Radio (details below). Blues and Roots Radio -- go to www.bluesandrootsradio.com and click on the "Listen Live" button. The programme is repeated on Tuesday 25 November at 8pm EDT and 1am GMT and again on Thursday 27 November at 4pm EDT and 9pm GMT.